Defence Minister Nirmala Sitharaman in an interview on Wednesday said that the latest statement by Pakistan PM Imran Khan on Prime Minister Narendra Modi could be the Congress' ploy. In a statement, Imran Khan had said that there might be better chances of peace talks between India and Pakistan if the Modi-led BJP came to power. Sitharaman alleged that there had been many "eminent leaders of the Congress" who went to Pakistan seeking help to oust the Prime Minister. "There have been many eminent leaders of the Congress who went there to seek help to out Prime Minister Modi. They went there saying, "Modi hatane ke liye hamein madad karo" (help us to oust Modi). I wonder whether this is also a part of the scheme of things which have been put by Congress. I don't know what to make of this, honestly," she said in an exclusive interview to ANI. 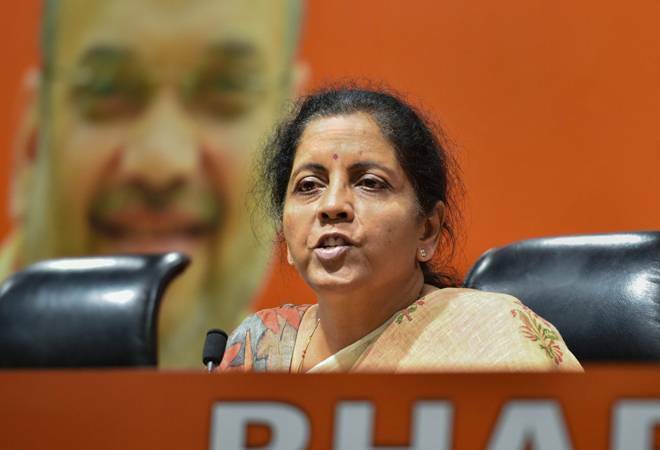 Talking about Pakistan, Sitharaman said that the onus of proving that the Balakot strike did not happen was on them. "It is for Pakistan to show they have not been hit and that a number of people were not killed. They took 40 days to take a small group of journalists and defence attaches and limited the picnic that they had only to the madrasa. I am telling you the madrasa was at the lower end of the foothill and behind the madrasa, into the dense forest was the training camp. So, Pakistan is making a mockery of itself." She also commented on Pakistan Foreign Minister Shah Mehmood Qureshi's claims that India will attack its neighbouring country between April 16 and 20. "I don't know from where he got these dates. Good luck to him... God knows who his source is but it sounded very fanciful and amusing to me," she said. The Defence Minister spoke about a host of issues. Addressing the issue of procurement of the Rafale deal documents, she said, "The procurement of the document is illegal. That's what I have been harping on. There are legitimate ways of obtaining it. There are credible tools to obtain it. If it has not come through a legitimate manner then it is said to be stolen." Sitharaman also spoke about the controversy around Samajwadi Party leader Azam Khan's comment on BJP leader Jaya Prada. She said that politicians must apply their mind when they speak. "It is always easy to hit at a woman when you talk about other things which don't become part of the conversation or which are not germane to the discussion. You easily pick up on things which are very personal or are gender specific and not called for at all."